When someone is injured in an accident and they are seeking compensation, either through a personal injury case or a workers’ compensation claim, their injury, the extent of disability and/or their physical limitations will all be relevant in determining what and how much compensation is due to the injured party. A lot of the evidence that will be presented, aside from medical records, will be the injured party’s subjective complaints and explanation about how the injury caused them to suffer and changed their life. Insurance companies, however, do not just accept the injured victim’s word for it. They will most certainly want to investigate. How do insurance companies investigate accident victims? They use private investigators. 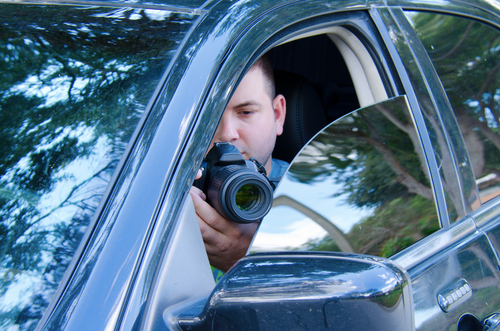 Why Do Insurance Companies Use Private Investigators? Insurance companies are big businesses. In almost every major metropolitan city in America, the largest buildings are owned or occupied by big insurance companies. Like any other business, they want to profit. They do this by collecting premiums on the millions of insurance policies they write, which is their income; and they try to minimize their expenses and deductions, such as the amount they pay out on valid claims. This will increase their profits. In order to challenge an accident victim’s claim for compensation, insurance companies need some evidence to rely on. Remember, insurance companies are held to certain legal standards of fairness in Massachusetts. They cannot just deny claims without justification. So, they use private investigators to conduct surveillance of the injured party and, hopefully, obtain evidence to scrutinize the injury claim. They hope these investigations uncover evidence they can use to either deny claims or use as leverage in order to pay less than they should. What Do Private Investigators Do For Insurance Companies? The most basic and common investigative tactic used is to follow the injured person. They will drive by or park near the injured person’s home. They will follow the injured person to work, school or our running errands. The investigators will take video and photographs of their target. In some cases, we have also seen investigators put together a time line with video and pictures to outline the day-to-day activities of the injured party. They do this to try and contradict what the injured party says about their pain and suffering and the claims about how the injury has impacted their life. Some investigators are cunning and bold. They will come and knock on the injured person’s front door pretending to be a salesman or the like. This way they can have a conversation with the accident victim and observe them standing or walking. This also allows them to get a good look inside the injured person’s home where they hope to see something they can use against them. In a recent case our office handled, our client was injured on the job and his doctor ordered him to stay out of work. As we do with all of our cases, during the initial meeting with this client we explained the workers’ compensation process and things to avoid and watch out for. One of which is private investigators. Our client noticed an unfamiliar vehicle driving past his house on several occasions. He then saw this vehicle parked across the street a couple of houses away and could see a person sitting in the car. Then a few days later, that same person came knocking on our client’s door pretending to gather information about whether our client would be interested in solar panels for his house. When our client demanded to see identification and asked for this person’s supervisor’s name, the investigator became defensive and left abruptly. The insurance companies and their investigators also use clever tricks when they cannot catch the injured person out and about. In another case we handled, a young woman was severely injured in a car accident. There was no issue of liability, but her damages were significant. She suffered a very bad knee injury that required two surgeries and her orthopedic doctor claimed that the injury resulted in a permanent disability in her left leg. The doctor also claimed that this woman needed to use a cane to help her walk. A personal injury lawsuit was filed in this case. During the discovery phase of litigation, the woman’s deposition was scheduled for a specific date in Worcester, Massachusetts. The insurance company had a private investigator sit out front of our client’s home on that date and watched her walk out of her house, get into her car and drive to the deposition. Later on in the lawsuit, the insurance company, through their lawyers, provided the investigator’s surveillance videos of our client heading to the deposition. On the way to the deposition, our client stopped to get a coffee. When she got out of her car and went into the coffee shop, she did not use her cane. The videos also showed her park in Worcester, get out of her car, and walk toward the law office for the deposition. On the video, our client turned back after about 20 feet, went back to her car and retrieved her cane. The insurance company argued that she was exaggerating the severity of her knee injury and disability. They claimed that she had no problems walking without the cane, based on their surveillance videos. In workers’ compensation claims, if a private investigator is used and they cannot find the injured worker, the insurance companies will schedule an independent medical examination (IME), which the injured employee is required to attend. The investigator will then know what date and time the IME is. So, the investigator will know when and where the injured employee will be. They will conduct surveillance of the injured worker going to and leaving the IME in hopes of catching them doing something they can use to deny a workers’ compensation claim or use as leverage in court against them. Aside from the more conventional investigative tactics, private investigators also conduct online investigations. They will search social media sites, such as Facebook, Twitter and Instagram. They hope to uncover evidence of the injured party doing something that can be used against them. For example, our office represented a young man, who suffered a bulged and herniated disc in his lumbar spine in a car accident. This client’s medical records substantiated the injury and also supported the client’s pain and suffering from his complaints to his doctor. The insurance company in this case hired a private investigator, who conducted an online investigation. The investigator found our client’s Facebook account that was not private. The Facebook account showed videos of our client taking part in a high school alumni Thanksgiving Day flag football game during the time he was treating for his back injury. The insurance company aggressively used this against him. People share all kinds of personal information on social media. Some people like to tell everyone when and where they are going on vacation. Or they post pictures and videos of them on vacation. In another case, a woman suffered a hip and knee injury in a trucking accident when she was struck by a tractor trailer on I-495 in Westborough, Massachusetts. Months after her knee surgery, she went to Disney World with her family. The insurance company hired an investigator, who found pictures and videos of this client in Disney World walking around the theme parks with her family. They, of course, used this to down play the extent of her injuries. If you have a pending injury claim or open personal injury lawsuit, you should be cautious at all times when out in public or working around your home. Try not to perform any activity beyond the restrictions set by your treating doctor. You should also avoid any activity that the insurance company can use against you. The more severe the injury, the higher the value of a personal injury case. In these cases, it is more likely an insurance company will use a private investigator. You should be vigilant and use common sense. For some people, it is tough after suffering a life changing injury. You may not be able to do the things you once were able to do. But, make sure you follow your doctor’s recommendations. If you use social media, check your privacy settings. While an injury claim or lawsuit is pending, do not discuss the accident or your injury online. Be careful of what photos or videos you are posting online. Again, use common sense. Mahaney & Pappas, LLP has over 35 years of experience handling personal injury claims. 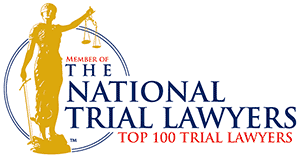 We have successfully represented clients, who were seriously injured accidents. For a free case evaluation please call us today at (508) 879-3500 or contact us online.